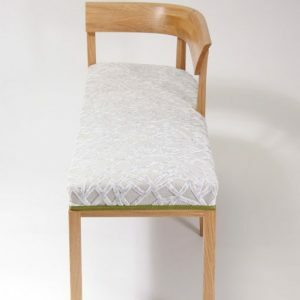 Description: My client wanted a small, elegant piece for her bedroom. 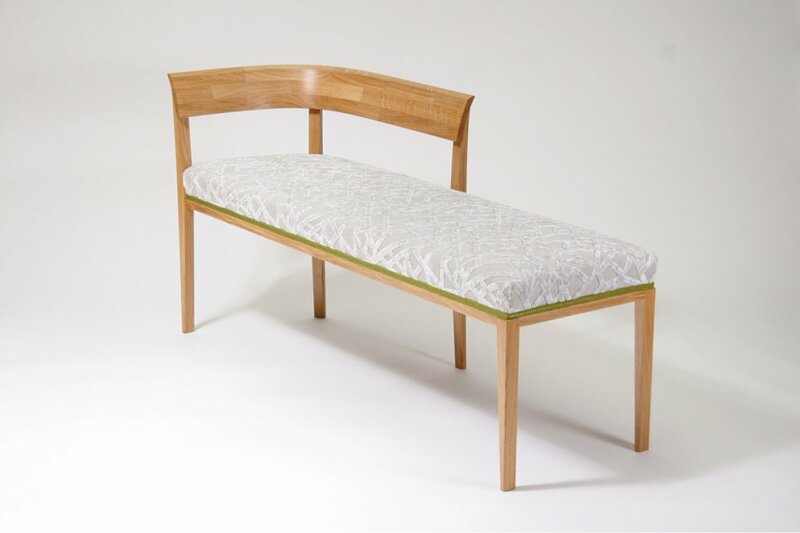 On looking through my portfolio, she really liked the light and airy feel of Isaac’s bench and the luxurious feel of the Alice chair. 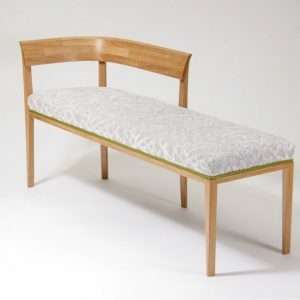 She wanted a long seat to fit a set space. 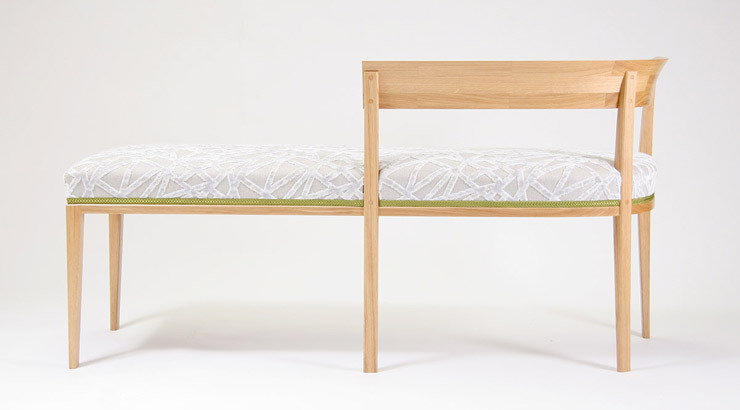 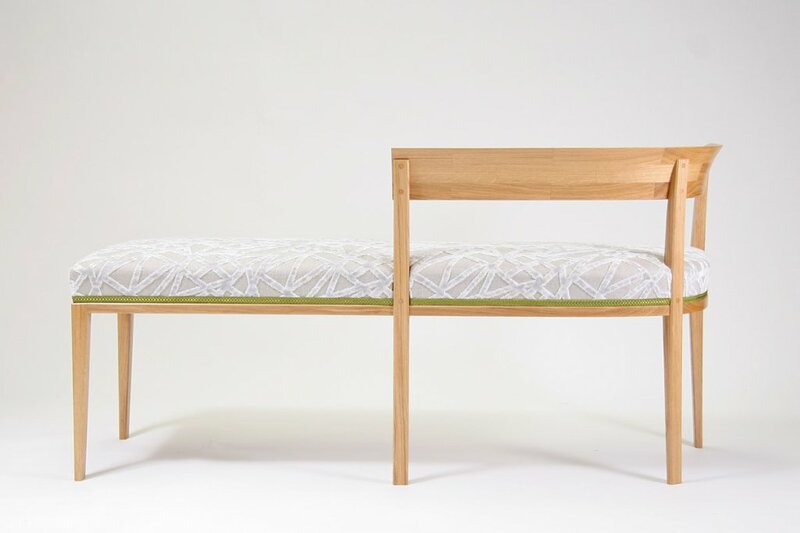 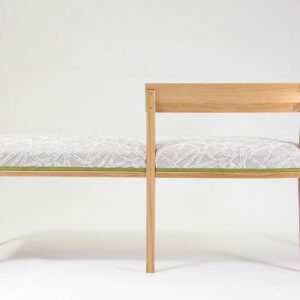 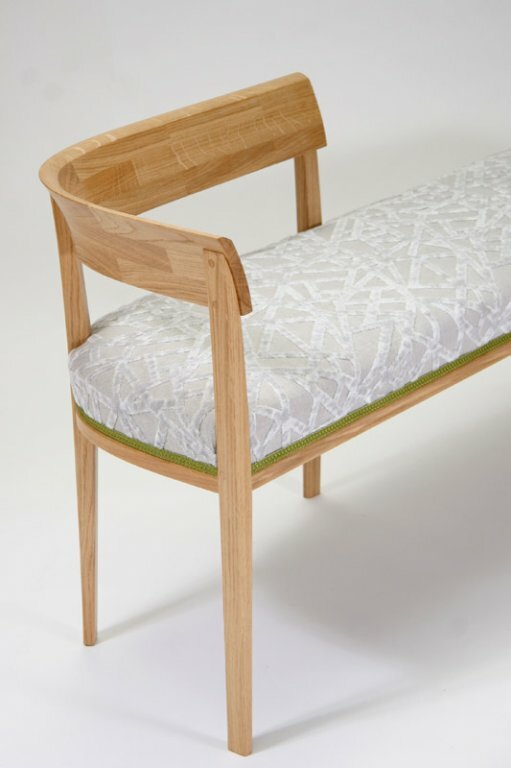 The resulting piece is a modern take on a chaise longue. 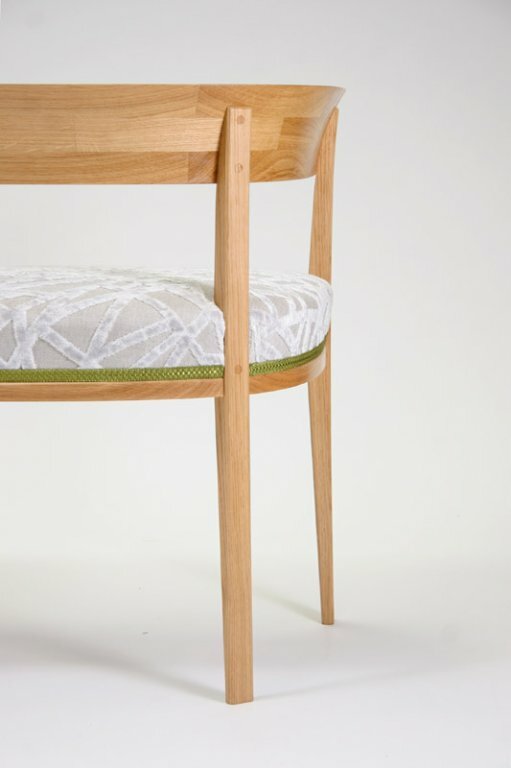 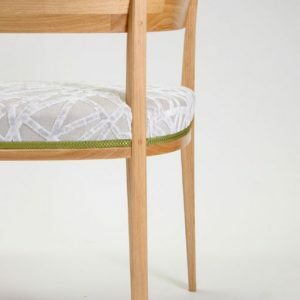 It echoes the design of the Alice chair with its hooped back. 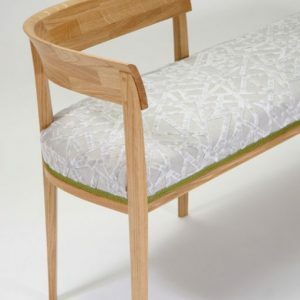 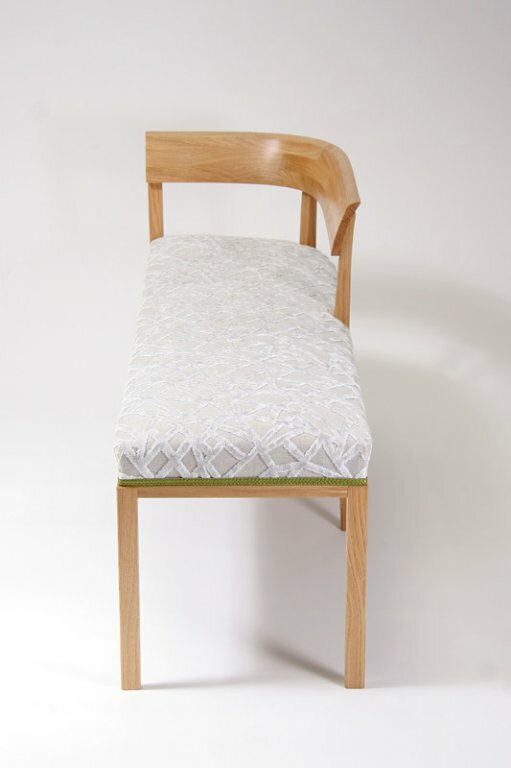 Materials: Oak frame, traditionally upholstered.